Suffocating under the daily oppression of LA assholes and closed-minded society, it’s a battle for the cosplaying group of best friends the Rocket’s Rockets just to be able to do what they love. Squaring off against former best friend turned arch rival Zander (leader of conniving team Zander Rulz) at a small regional con’s masquerade competition, only one group can win the gold…but little known to both groups, the real war is about to begin. Team rivalries and assholes become child’s play when a fated encounter changes the course of human existence forever. 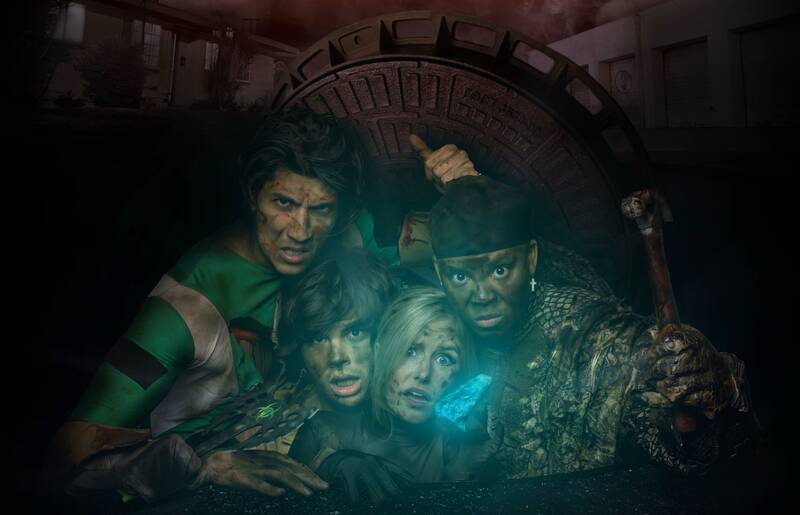 Will the Rocket’s Rockets be able to traverse a crumbling Los Angeles overrun with undead assholes and save Mom? Cosplay gets too real this 2018. Check out filming behind with the cast and crew, check manga at mewnowtv.com under movie and manga tab and see if you can spot this!